City Edge Developments introduces its pride and joy, the new Zahya compound that will bring beauty and grace to New Mansoura City. Zahya New Mansoura is located in close proximity to both old Mansoura City and the touristic city of Gamasa. The project spreads over an area of 7100 acres with a 15 km beachfront. Zahya is a hospitable city that’s designed to host everyone and cater to the various preferences, as it will embrace affordable housing, luxurious properties and tourist villages. It introduces 30 towers overlooking the mesmerizing sea and offers studios, apartments, penthouses, townhouses, twin houses and villas that are rich with old Mansoura’s beauty which is resembled in its stunning designs and lively colors. Zahya New Mansoura is the “have it all” city, as it features numerous services and facilities for the comfort and satisfaction of its home owners. Zahya will have an electric train connecting it with old Mansoura in a matter of minutes. 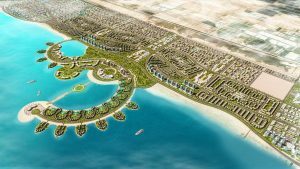 It also features a separate corniche with various entertainment means, a touristic area with hotels that serve medical tourism visitors, an industrial area, a private university along with Mansoura University, research and medical centers and a number of entrancing public beaches. 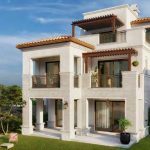 Unit Types: Studios, Apartments, Penthouses, Town Houses, Twin Houses and Villas.